Dr. Caste received his B.A. in 1968 from the State University of New York at Stony Brook, where he majored in Philosophy. He earned his M.A. in 1974 and his Ph.D. in 1980 from Emory University in Atlanta. Dr. Caste teaches courses in Political Philosophy including Social and Political Philosophy, Classical Political Thought, and Modern Political Philosophy. 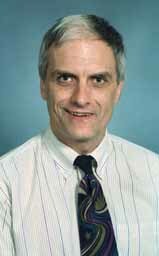 In 1995 He also teaches courses for the Philosophy Department including Introduction to Philosophy, Logic, Critical Thinking, and American Philosophy. In 1995 Dr. Caste won the University Award for Part-Time faculty members. Dr. Caste’s political experience includes the Presidential Campaigns of Bill Clinton, Michael Dukakis and Gary Hart. In 1988 he worked in the Credentials Section of the Democratic National Convention in Atlanta.